When an Issue arrives at each Step, it will appear in [Offered] of all the candidate of underwriting. The first person who makes the underwriting processing will be the actual operator (in charge). (The Issue appears on [My Tasks] of the operator.) Candidates of underwriting will be nominated by various expressions, such as "people who belong to Sales Department" or "Leader of the Organization which the applicant belongs to". 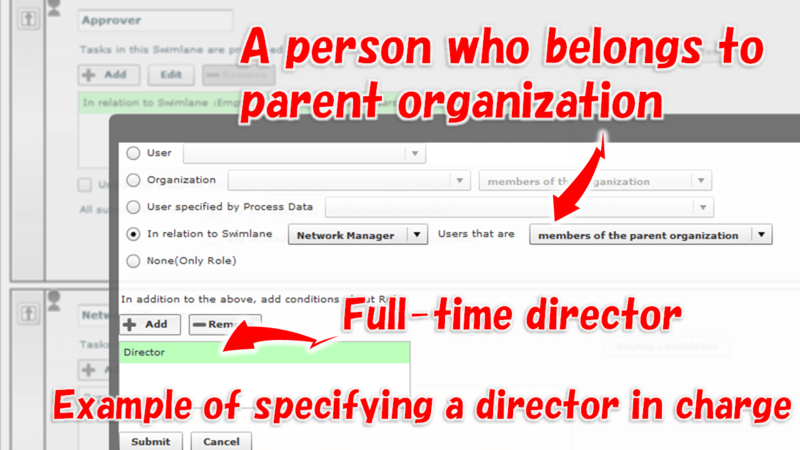 You can group Users into [Role] disregarding Organizational tree, whereas [Organization] is strictly managed in Tree structure. E.g. : All the members of the Organization of "Sales Department"
E.g. : All the members of the Sub-organization of "Management Headquarter"
E.g. : All the Leaders of the Sub-organization of "Management Headquarter"
E.g. : All the Staff members of the Sub-organization of "Management Headquarter"
E.g. : A User who have been input in User type data item of "Requestee for Reviewing"
E.g. 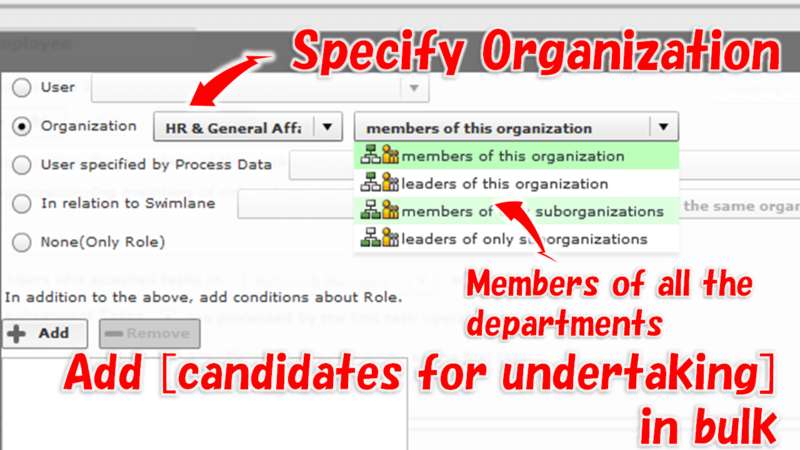 : Members of Organizations which have been entered in the Data item of "Organization to Respond"
E.g. : Members of Sub-organization of Organizations which have been entered in the Data item of "Departments of Audit target"
2017-05-22 (Base flow of Request type process): Episode 536: The Number of Times of Sending-Back is also Valuable Issue Data! 2015-02-02: Reimbursement for Out-of-Pocket Expenses in Your Company, Does the Business Flow Prevent 'Fraud'? 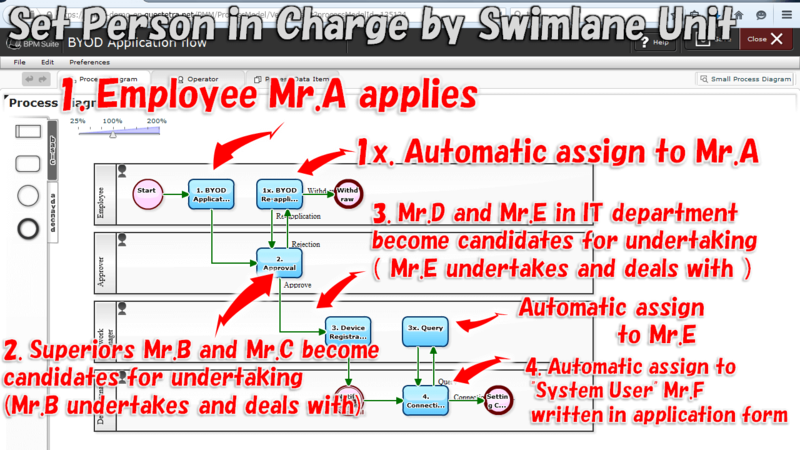 2014-07-28: Let's Manage Centralizing the Expenditure Information, on the Cloud Workflow!